Funds partners Ganesh Rao and Aditya Jha from AZB & Partners are understood to be heading to Trilegal, though we understand that the partnership vote to admit them into Trilegal has not yet completed. 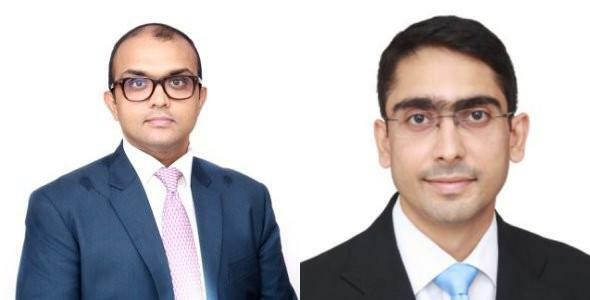 Both Rao and Jha had joined AZB from Cyril Amarchand Mangaldas in the 2016 mass-move led by equity partner Ashwath Rau. We have reached out to Trilegal for comment. AZB confirmed their leaving, and commented: “We wish them all the very best. And thank them for their contribution to AZB. Rao had been promoted to CAM’s partnership in 2015, and then joined AZB as a partner, while Jha had been promoted to the AZB partnership last year. Jha is a 2008 NLSIU Bangalore graduate, who had begun his career at SJ Berwin in London, before moving to Cyril Amarchand Mangaldas in 2012. Last year, AZB (and former CAM) competition head and partner Nisha Kaur Uberoi had also moved from AZB to Trilegal. Wow. All the ex Cammies are leaving AZB partnership for Trilegal. First, Nisha and Soumya now Ganesh and Aditya. Wondering if there are any connections there! Ashwath must be spitting mad at this massive loss. Trilegal clearly emerging as the firm of the future. Also Ganesh is not a young partner. AZB trying to downplay their loss. Such a boys club ! [...] not going? great move by ganesh. He is a well rounded real estate and funds platform lawyers in >10 pqe level in mumbai and great catch by trilegal. . in aditya, he has a safe pair execution junior, will now get more time for BD and firm admin. Good luck guys. Wasn’t Ganesh on a 6 month leave at home and only just got back to azb?? whats the story here? who will give them work now!? Does trilegal has a real estate team? For those who know them, it’ll never be Rau v. Rao. This is just a minor bump on a very long road. Cut out the negativity and just go along with your lives. They'll soon be back with their tails in between their legs when the realise what a pain it is to drive to the trilegal office!! They have a driver.. dont worry. One driver between them? Is it necessary that they commute to work together? I thought all of Parel was a pain to drive in... :) Is traffic to Peninsula much better than Indiabulls? Who’s in Indiabulls? Trilegal are across the street at Peninsula Business Park! Now even trilegal is in peninsula, one signal away from AZB and CAM. Altohugh they are in the Business Park and not the Corporate Park. As an aside, yes traffic is much worse around Peninsula as compared to Indiabulls. Therefore, while looking for job I have asked my recruiter to find me a job in BKC or townside. Lower Parel is the worst area in Mumbai. Find a law firm in Virar or Palgarh. it will be super easy for you. Peninsula Business Park (Trilegal) although only about 100mts away form Peninsula Corporate Park (AZB) is terribly located and doesnt have the shortcuts and galis that the latter has.. also PCP has much nicer grounds compared to PBP which is just a building. Oh no. Ashwath, what just happen? Is it you or AZB? They were your kids at AM/CAM. A regular GOT episode at BigLaw. Littlefinger, who bit the hand that fed him, got his throat cut a few seasons later. Will Cersei get her just desserts? We'll have to wait for season 8 to find out. What will happen to Funds practice? No dedicated leader! How many funds partners did azb have? Pallabi is not on mat leave and not pcp. Guys, stop spreading needless false news!! I thought Pallavi gave up funds practice and was a PCP partner? Pallabi made a partner in funds practice. And she has a very good market rep. Let’s wait and watch!! She will be made partner in the practice she gave up!! Kya baat hai!! I didn’t know lawfirms work like that. There is only 1 PCP partner in India... no other firm cam have a pcp partner! Think Ashwath getting commission from trilegal to send candidates. Business model much. Grapevine is - more exits to follow. Stay tuned. Madam Zia sends her regards to both the new eggs. trilegal won't be an easy battle for these spoon feeded lawyers. Cyril sends the new A in AZB his regards. This move clearly did not happen overnight. You're kidding right? Almost every one of Ashwath's deals are for Zia's clients. [...] And you just compared him with the MP of Delhi. Ajay is one of the greatest rainmakers in the profession. Widely respected. His juniors include stars in the profession like Anil. Please get some perspective. Like+2	Object-55	please	10 months ago troll? Kian, any reason behind not mentioning Anu Tiwari’s name? He is also a fund’s star!! "when you pick by the dozen, you end up with some bad apples". Who knows better than Mumma? Striking back in full force to steady the ship. Shift of power - big-daddy back in control of the funds practice. Ah the apple. It can lead you to earthly destruction. It can poison you, ask Snow White. Or it can keep the doctor away. Big Mumma is losing her touch. The promises made at recruitment are clearly not being kept. Run while you can. Heard the Cammies who stayed the second year got a mere 10% hike to equalise them with the rest of AZB after the bump up during recruitment. Ashwath who once took on the Shroffs for his team is now on the other side. Petty hikes and even poorer bonuses have become an AZB staple over the years. Kian - how many lawyers yet at AZB from the wholesale tender across the parking lot in 2016? 50% already? Reinforcements needed? Ganesh was with Ashwath for 11 long years and was his star partner. Wonder what went wrong at AZB. Cammies cannot adjust to the AZB culture. Sign of more exits to come given sheer number of CVs floating in the market. Ashwath must be under some real pressure. Ganesh's exit with Aditya and their entire team leaves Ashwath with some very junior resources. The big man next door must be having the last laugh. Kian- a culture analysis would be good. What say? If you have not worked in any of these places, then you will not understand. That's why asking... Always good to know. Plus what's so difficult in understanding culture of a place? Are things so convoluted ar these places? Kian you should do an anonymous survey on law firm culture. It will be a hit. You can cut me a fat commission cheque later. Cos going across the pond to the big Mumma has proven to be fools gold. Heard that the new A is insisting on a month or two's serving notice. Do unto others as done unto you seems to be the new mantra. Clearly AZB is no different from CAM. Time to learn from Khaitan on how to let people go gracefully. See Daksha exit! Honestly two month notice period for partner level exit is not unreasonable. I would see that as AZB acting gracefully. There are clients who will stay back with AZB and therefore, expecting a transition period of two months is really ok. Ungraceful, it would be, if AZB ask them to stay back for 6 months or go on garden leave for 6 months.On the other hand, associate, if any leaving, should not be required to stay back for more than a month. I think this tunnel from AZB to Trilegal has been paved by Ami at TSG. She is helping the good Cammies move to her husband's firm. If not CAM, then better Trilegal than AZB. Great move by Ganesh; he needed to move out of Ashwath’s shadow and this is a great time to do that. It’s also not an easy decision to move away for someone who’s been your boss for a decade. So brave, brave decision. He will rock it! Well, working under Sid shah would have been a better decision than working independently. These boys will learn but in a bitter way. Ash is absolutely not bothered by this move. Great guy but the team has self destructed. Terrible second rung of seniors. Heard the Trilegal's culture is quite good wondering how will these boys adjust themselves to it. Kian, when are you releasing your report on the best law firms to work with? I thought you were targeting first week of July. If things move at this pace, not many people will be left to rely on the study as they would have already made the move. Reminds of of Amss breakup days when every day there would be news of partner exits from big firms. Yet again, another blow to the endless list of 'Counsels' at Tri who are bleeding to find their way to the partnership. is the firm not impressed with their credentials yet?